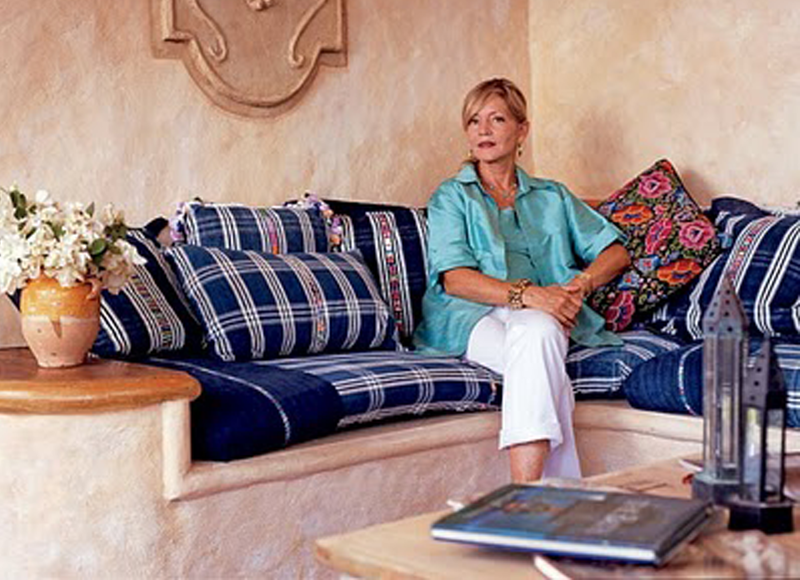 Diane Burn, an internationally renowned designer has been featured in Architectural Digest and numerous books for her design work in Rome, Porto Ercole, Paris, San Francisco, New York and many other locations. She has now created this magical, peaceful island retreat just 45 minutes from the hectic, busy metropolis of Panama City. For anyone looking to imbue a home with the feel of 18th-century Europe, Diane Burn is the answer. Her interiors evoke “romance ” and “fantasy,” she says, and she achieves her Old World look through the use of painted finishes, boiserie, marble, stone cement and wood flooring, chic window treatments and ecletic furnishings from Louis XVI comfortable upholstered pieces. “What inspires me most is 18th-century France and ancient Egyptian architecture and artifacts,” she says. “ More recently, I have become fascinated with Moroccan and West Indian inuences as well as textiles and handmade accessories from Latin America.” Now based in Panama, Burn finds the internet to be an invaluable tool in communicating with her wide-ranging clients. “The ability to instantly e-mail photographs from my international buying trips is my main change in technology since starting out as a designer,” she says. Diane Burn – Architectural Digest TOP 100 Designers for 2010. Diane – it was such a pleasure meeting you today – and thank you so much for showing Clarita (Navarro) and me (Ricky Gibbons) around your magnificent ‘area’! Just spectacular – so cool, tranquil, and such lovely touches of color. And the view, of course! We look forward to coming again….we will not be able to stop ourselves! AND the lunch was lovely as well!.